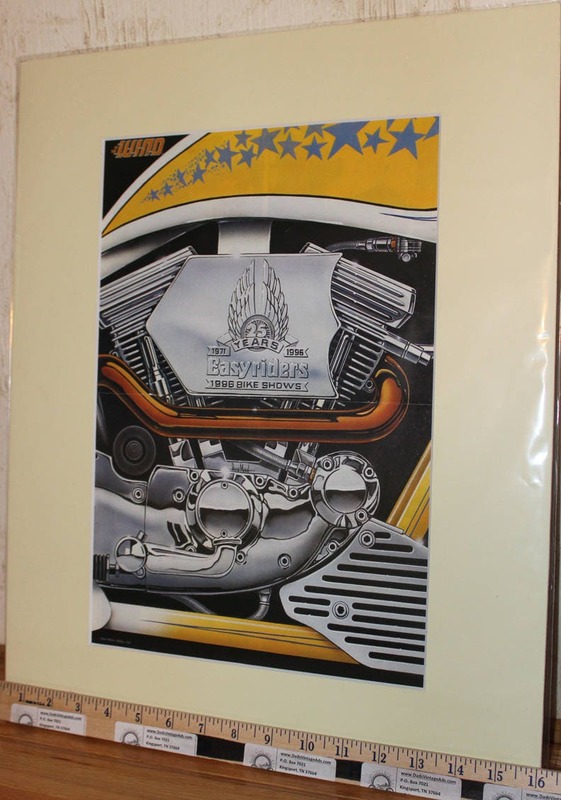 A center spread of a Sportster motor is not a common thing for David Mann, but this is no common Sportster. David's faithful rendition is of a 1600cc, 98 horsepower XLR that began life as a stock 883 Hugger. The Bat Gang at Battistini's Custom Cycles (Bournemouth, England) decided to remind America that the builders across the pond did indeed know a thing or two about customizing. With an exhaust that runs through the body of the frame, this amped-up Sportster left no head unturned at European bike shows. 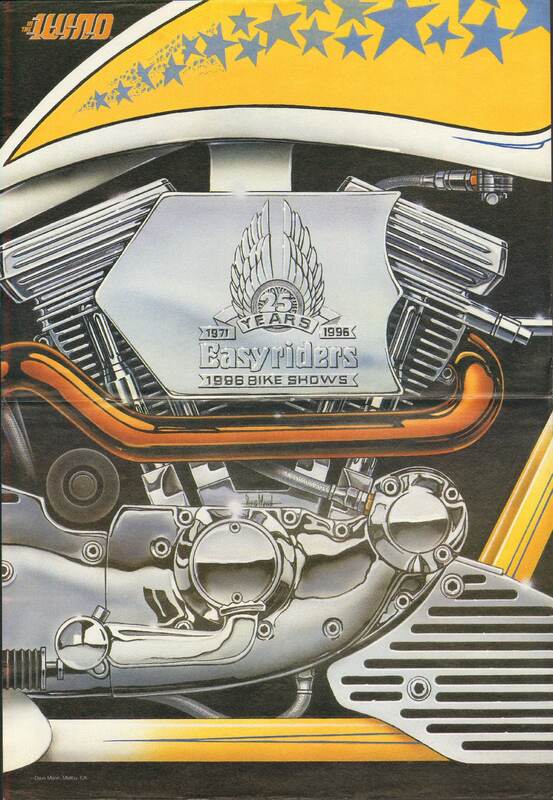 The Arlen Ness inspired creation was actually featured in the previous issue (Easyriders 273) under the title "Its All Too Much," named after an appropriate Beatles' tune on the Yellow Submarine album. Not lost in the irony is that an English-built Harley was chosen to commemorate Easyriders magazine's 25th anniversary. Of course, we on this side of the pond chose to believe that it was England's way of saying thank you to us for inventing the most famous bike magazine on the planet.